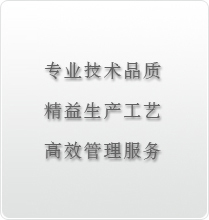 Beijing Suntek Automation Technology Co.Ltd. was founded in 2003. It specializes in providing professional harnessed cables for Machine Tool Works and Machinery manufacturers. Our main products are ESY series harnessed cables. Our company is located in Beijing Guanglian Industrial Area with a 1500-sqm workshop. Beijing Suntek Automation Technolgy Co.Ltd. is today one of the leading professional companies in the field of harnessed cables in China. We have expanded our business in CNC Metal Cutting Machine Tools, Printing Machinery, Rubber &Tire Machinery，Glass Machinery, Packing Machinery, Plastic Machinery , Laser Cutting Machinery and Automation Production Line. All our products are manufactured by using highly selected materials and the advanced equipments as well as the effective production process, which assure all the products in good quality. We have also obtained the quality certificate of ISO9001.